this session hasn't happened yet - here we will post reports, updates and respond to your personal sharing. Please use this opportunity to get a personal reflection and ask!!!! Our Prayer Group members are trained Energy Coaches, happy to respond to your questions! Have a great experience and lots of healing! Thank you to all of the participants and coaches. This was a beautiful session filled with love and support! However, what really stuck out in this session, was the instantaneous heart-connection at the beginning of the session! Really cool that you could all go there! Many of us had very strong visuals, symbols and lots of energies moving and spiraling through our system - a sign that there was a lots of energy restructured and renewed! The way this played out for you as individuals was of course different - but for the most part the session felt empowering, confidence building and most of all -connecting with what is true to us and what isn't . This is huge for most of you, regardless of whether you were in assistance of physical, mental, emotional or spiritual support! Please let us know how you are feeling. It allows us to comment on your personal energy and can help you to contextualize your experiences (even if you just fell asleep and have no conscious recollection!). I will write up a group report in which I will go deeper into the main healing processes we observed. For now, please just enjoy the afterglow...and share here if you feel like it. The Prayer Group will respond to your posts, so that you can get confirmation or simply more information about your personal energy. Thank you so much for your trust! And special thanks to our Remote Prayers Volunteer Group!!! The vibrations are not unusual when in this state, Ade - do not be afraid! Embrace these higher vibratory energies to go through you - lay down if you have to or eat something, like I recommended. We saw the lights too - and lots of healing that came with it. If you are asking me, you are in a very cool spot! The message for you was : the time to move forward is now! (almost insisting that you move forward). In context with the overall field of this session, it seems to me that your energy is ready to make a move that will help you to break free from the burden/pain of staying where you are at. Again, do not be afraid! There is great support in this spot you are at (including love and self-love). The half human-half animal message has to do with how you see your own energy - and is something only can understand. Allow both parts to work together - there is lots of courage and fortune in this place - make that one step that is needed to fully stand in your power and embrace all new solutions that come from this place! Hope this makes sense - just typing it as I saw it in your field. Typing about it reminded me (I believe) Cheryl, when she felt like doing session while taking a bath. It just amazes me every time when reflection of our energy or the energy itself knocks to our "mental" door saying "here, let me help you with this process". The session came to me as beautiful release. Great connection to my heart. Future Self was nicely guiding through the process, in turns moving forward, getting promptings about steps to take, and going through layers of "stuff" to be released. Since legs are main releasing part of my body I was not surprised to feel how right leg was vigorously shaking off what was coming. Quite a lot, to say the least. Also, at some point I consolidated past-present-future Self. At the end of the session I had sharp, yet moderate pain in my heart (don`t remember when I felt it last time). It was nicely linked with the release of self doubt, second-guessing, fear (being lovable, love expression and taking action) and some shadow that I felt while my leg was shaking. It will be funny to say, I invited the feeling with pleasure, accepting, allowing and let go. I have finished the session with few long low vibrational sounds that I felt like "singing" at the moment. It was like releasing the rest of the stuff that my leg was shaking off. I felt very strongly the 3rd eye opening and was in trance mode after the session for quite a bit. I wonder how the process looked on your side. Hi Jona, and all remote prayers, thank you so much for this session! I was struggeling a bit during session, which i always do during meditations. This is due to chronic pain and having a hard time to get my mind to be still, but i did my best. A couple of times during session i had sharp pains from the crown going down the right side of my head. I was crying and yawning on and off through most of the session. I could definitly feel the strong vibrations. Feeling tired and a bit hungover now. During the Transmission, I experienced the feeling sensation of my heartbeat. Thank you all for a wonderful healing . It is my first time, so at first I was a bit nervous, but through the invocation it disappeared. Then I focused on my heart and then my future self, which went queit well. A few times I went astray, but managed easily to get back to my heart. So I feel it went very well. There was at the end of the session a brief sensation, where there were some buzzing around my head, and there were clear light all around my head. It surprised me and I just observed it, until it disappeared again. It felt very nice and calming. and then I went back to my heart. At the end I felt some small resistance, but it didn't take long to get back to my heart. I'm very, very pleased with this session. Hi Jona, in this transMISSION (during the beginning stages) i was filled with a lot of emotion and kept having flashbacks of me as a child. Wow. what a beautiful session. Thank you everyone for being here to share the session and to feel into our Hearts. There were so many things going on, some at lightening speed too. I also wanted cry in some moments too, feeling sadness and pain and maybe regret that things couldnt be different in the past. Then this quickly shifted with some beautiful releases, like a deeper understanding of letting go, and seeing a split also - like seeing the two sides of the coin and neither side is good or bad. Past is the Destiny of the past. It was the Destiny of those moments that were created. The pain of longing for a different outcome is irrelevant in the Now. Those people, those things/situations were how it was... From here we connect to the weaving energy expanding from our hearts, feeling the new possibilities. Wow! Thank you all for sharing and posting! Awesome! I will have to sleep a bit and come back in the morning. It was a difficult one for me in that I was busy being active until the moment I joined, in the past I've prepared and been better able to perceive my experienced. What I was able to perceive this time included aspects of Future Self, which was a gift to me to experience my Heart's calling in that way. My understanding is that experiencing future self manifests it now...I am that and so the process brought it to light. Like a polishing of a rock. The one other thing that came forward for me was regarding grief, the depth of the grief I have been experiencing but not allow myself to fully experience. I heard a voice telling me that grief was similar to the veil of illusion and that it is important that I go through it. The same voice also said something like 'there is light in the grief, and you will see it once you get to the other side'. What I got is that I am surrounded by the shroud of darkness right now, that it's OK and that it is part of what I need to go through and experience right now in order to fully heal my soul...if I don't then healing and wholeness seems out of reach. I ended feeling engulfed with grief...which is OK...I've never allowed myself to feel it as it always scared me. Last night taught me that it is OK to experience it, it's not my enemy. In fact, it felt like a friend was there with me (True Self). What became clear is that standing in my Heart while also allowing the darkness or grief in is the way through...not by strong-holding and pushing things away. There's an allowing that has to happen in order for transformations to occur. Surrender to the Divine. That's really cool... For the most part I kept focus on keeping the energy of the group together. (holding the field) I felt it come & go, but at one particular time, the whole group came together for a few minutes. was very beautiful. Before & After that there seemed to be a space that the light of the field was trying to reach but was being blocked. That could explain the flashes of light you were experiencing. Perhaps as you gave in more to the process, you got glipses of the light that waz trying to reach everyone. The trick is to let go of everything & just allow the experience to take you wherever it might. Cool about the half human/half animal part. Animal symbology in these sessions are very real & are strong energies. It's unique to the kind of animal... so if you had any info on which animal was coming in, it could have some meaning for you. please mention that in here if something comes to you. Even if it's only now while reading this that an animal flashes into your mind. It's not something to get hung up on... because different animals can come & go based on whatever symbology you need at the moment... but it's something to make note of & get into the energy of "Now" while that particular animal is coming in. I struggle with the same thing after some past injuries. The pain & discomfort from the body being out of symmetry can be a major distraction. However, it's one that we never submit to. It's not even a question or doubt in our mind. We work toward release & health... always... a constant flow of purification... always... in every moment. It's like the underlying energy that we do everything else upon. Living like this puts us in line with the celestial force. 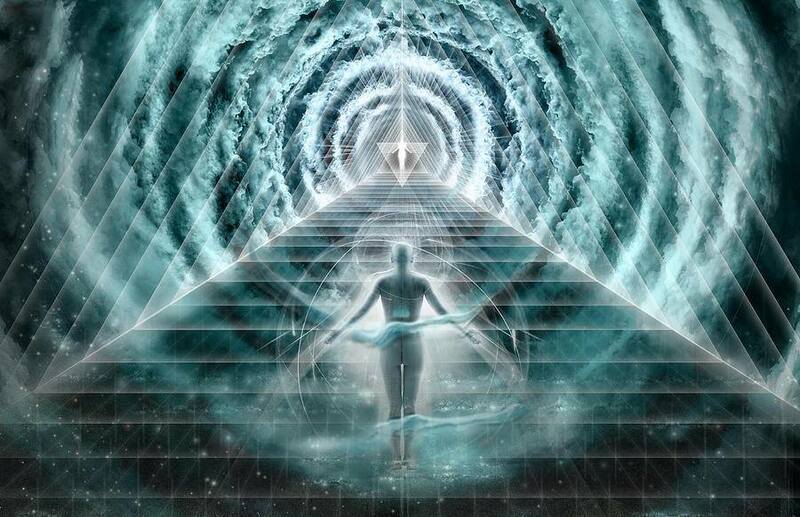 We become a conduit for the celestial force to flow through us. Keep working it out... shake it out whenever necessary. You don't have to think about it all the time... but if you are dedicated to this method... you will instantly negate any negativity that comes forth regarding a physical asymmetry that might be present. Ex. strange feeling hits & you think "damn, there's that again"... instead of being bummed... you go into action. Immediately you breath through it & shake it out. Chronic pain is very similar except that you just understand some thingz take longer. I keep the energy flowing & I know things are better than if I'm sitting ther bitching to myself about it. Regardless of if it takes 10 years to even hint at letting go. That's actually how long it took for mine to start letting go... but I sometimes don't even feel it anymore. If you don't have this positive approach to your chronic pain, then you are bitching to yourself constantly about it & the muscles are cringing around it & making the situation worse into something that will surely never heal. Fight the good fight. There are lots of methods for self healing the body... stretching & exercise are always helpful... & had some good success with "rolfing"... but I'd say the top one is breathing through uncomfortable places in the body with intent to release it. In other wordz... obviously you breath through your face... but lets say you have a pain in your leg (for example) that is giving you trouble. You can take a deep breath and just imagine the exhale flowing through the inside of your body into your leg & flowing out through the spot of the pain. Feel it release. This isn't so much about breath as it is about focusing your etheric energy to flow through that spot with healing intention. Shake the leg out as it loosenz up. I sometimez feel like I'm dancing while laying flat on my back because I'm shaking everything out. lol... The goal is to shake this stuff out & let it go, while sinking deeper into meditation. This is also a really cool thing to do with your heart. Breath through the heart & feel the energy expand out in every direction. This is at the "heart" of the "I am Breathing technique" that Jona refers to. I struggle with the same thing after some past injuries. The pain & discomfort from the body being out of symmetry can be a major distraction. However, it's one that we really cannot just give up to. There are lots of methods for self healing the body... stretching & exercise are always helpful... & had some good success with "rolfing"... but I'd say the top one is breathing through uncomfortable places in the body with intent to release it. In other wordz... obviously you breath through your face... but lets say you have a pain in your leg (for example) that is giving you trouble. You can take a deep breath and just imagine the exhale flowing through the inside of your body into your leg & flowing out through the spot of the pain. This isn't so much about breath as it is about focusing your etheric energy to flow through that spot with healing intention. Shake the leg out as it loosenz up. I sometimez feel like I'm dancing while laying flat on my back because I'm shaking everything out. lol... The goal is to shake this stuff out & let it go, while sinking deeper into meditation. Also, the body pretty much is knumb to us while we sleep. Like when you wake up & you have to get the body operating again... it's because it's coming out of that knumb state. Well, when it comes to doing meditation... you can practice nearing that same state, so the body relaxes into that nummed state... even if partially... it will help. You just gotta get used to staying awake. Meditating while first waking up is a great time to practice putting your conscious into this state without disturbing it too much. Also, lucid dreams are very cool if you "wake up" enough to have some say so into what's going on. Whenever I wake into a lucid dream & realize that's what happens... I usually tend to whatever the dream is about & then just focus on meditating & being a circuit of light flowing through me... or any of the myriad of cool thingz you can do with your energy while meditating. That's very cool... you'd be surprised how many people when asked if they can feel their heartbeat, answer no. I personally go on & off with it depending on how involved I am in other things... but when I'm meditating or even just relaxing... I like to feel my heart beating. I recommend this practice to anyone. It's a nice way to go a little deeper & get in touch with your heart. Thank you all for a wonderful healing. It is my first time, so at first I was a bit nervous, but through the invocation it disappeared. Then I focused on my heart and then my future self, which went queit well. A few times I went astray, but managed easily to get back to my heart. So I feel it went very well. There was at the end of the session a brief sensation, where there were some buzzing around my head, and there were clear light all around my head. It surprised me and I just observed it, until it disappeared again. It felt very nice and calming. and then I went back to my heart. At the end I felt some small resistance, but it didn't take long to get back to my heart. I'm very, very pleased with this session. That's a cool experience! I mostly focused on holding the field (group unity) but it was rather difficult in this session. It was about half to 1/4 of the field flowing in & out of it the whole time... except for a brief couple of beautiful moments when we all came together at once. I'm sharing that with you to say that it sounds like you were in the field for the most part & so well done for using those cool techniques you were doing. At the end of the session seeing the light is awesome... you must have tuned in & let go... which allowed the light to reach you. The majority of my time in this session was holding the field with those who were in the light... & also praying that the light would reach the places that were resisting it. When you sign up for a prayer group session... you're pretty much signing up for the light to reach you... & myself & others praying for the light to reach you is a mutual benefit that actually enlivens both of us. The thing is that you are the light. The only way you could see it is because you were shining your light & it merged with the groups light. so you don't need the group to shine. The group is just here to help you do it on your own. The same way you described several times about focusing on your heart, which got you centered again is what we all do. It's not like any of us are just shining in the light constantly & floating around on little purple mist. We all come & go throughout each day... but the trick is to be focused on perpetual purification... & so you instantly negate the resistance & focus on flowing. It's an underlying energy that flows through you like a conduit of the endless energy of the celestial force... & everything you do is done with this underlying energy. thank you so much for sharing! Cool you use crystals to join you in transMISSIONS! Since you asked for a very specific healing for this session, we focused on the deep (unconscious) feelings/energies in conjunction with with it. As you noticed, most of this lead to a release of stored energies (through your leg - as this seems to be one of your personal storage places) and also your right hip and back of head/base of skull area. The main energetic processes associated with this release had to do with 'how you see yourself' - there were feelings of disgust which triggered a very heavy heart...and as you so beautifully described, the challenge for you was ACCEPTANCE. So, from my point of view and in conjunction with the energy codes that came in for during this session, it appears that there is a part of stuck in the fear (probably inner child/father related) that you cannot fully accept and love yet. I know that you have been working on this the past months, therefore it seems to me that you were shown how these 'old' things link in with your physical and the addictive structure. Thank you for coming, Sebasto. Would say the experience is telling you there's inner child work to do, so that the past doesn't bring emotion to your present. You don't want to dwell on the stuff throughout your day... but when you get time alone to go back & heal the memories, it would be good to do. You don't erase the past... you just come to acceptance of it. You move on knowing it was a learning experience that you grew stronger from in your ability to resolve it within your feelingz. A nice meditation is to imagine yourself as a child sitting in front of a fire. You are sitting in the lap of your current self & your current self is embracing your inner child self with love to let it know that everything is going to be all right. You feel comfortable & let go into the embrace. Feel the warmth of the embrace & the fire. Great work... I'd make a small but important adjustment to the "breathing golden light into the painful areas"... to "breathing golden light through the painful areas." Your pain is a blockage of energy that needs to flow... so it's more about energy flow than projecting energy. a circuit that is flowing. Like maybe imagine 2 wheels turning like a couple of geers through your center from your head down... & as they flow through your body, they circle out & away from your body... & then back to the top of your head where they keep turning through & out of you in a circuit. As the bottom of the wheel flows down & out away from your body, it's releasing... & all the slower energy's are thrown out. The wheel is clean as it circles back around into your crown & it catches your exhale of golden energy which flows through your pain area. Beyond that... the release will come with a new symmetry that you will want to feel out & align to. Think of it this way. If your body is in pain... then you want to feel it a different way. A more comfortable way. Symmetry is always the most comfortable for your body in the end... but at first it's like you have to let go of the asymmetrical stances & feel a bit uncomfortable for a bit while you get used to the more symmetrical stance. For example, someone who has slouched in their chair for 20 years is not going to feel comfortable sitting up straight. However, if they breath through it & sit up straight, they will feel better. It might not feel comfortable for them to sit straight all the time because their body is used to slumping down, but you know that it's more symmetrical & so you learn to relax your body in the sitting up straight position until it becomes more natural. You just have to feel it out. You intrinsically know when you're relaxed into a symmetrical stance or an asymmetrical stance. Excess Kundalini is just a way of saying that you enhanced your energy but were blocking it from flowing. So like the Wheel meditation I described, you learn to let go of your energy. You use it... rather than store it inside. let it flow. You can also run the wheels the other way so that energy is going out the crown. That would be more of a technique for working on flowing energy... rather than pinpointing a specific pain & running energy through it. Reason being, you don't really want to filter your energy through your head if your letting go of pain. It's probably better to run the wheels the other way so that you breath it down & away from your head... but if you're feeling good & just wanting energy to flow simply for the sake of the flow itself... then you can run it where it goes through your base & up through your head. Hope that makes sense. Thank you for sharing and for being so open discussing some of your struggles! I could definitely pick up on a physical restriction in your spine (from bottom to top direction) - which could be related to these 'pre mature kundalini' experiences you mentioned. The reason why I am bringing this up, is because I saw indeed a very beautiful unfolding of your energy, and the rainbow colors that were show to me indicated to me that your energy is very willing to go back into the state of inner WHOLENESS! In fact, there was a very powerful message for you to take action and to walk this path that is right in front of you - regardless of the momentary restrictions (finances) you are perceiving! 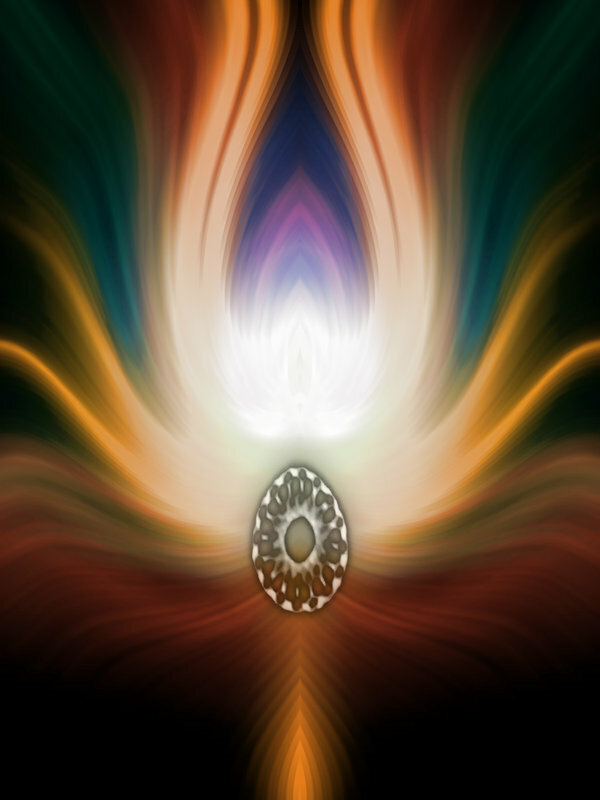 "The purpose of healing with energy work is to allows every part in us to be part of the whole. They come up during these energy work sessions as aspects that 'want' or better say - need - to be re-unified, so that our energy can stand in its optimal flow and strength. As long as we cannot love a particular aspects of ourselves, which could be anything - physical, mental, emotional - unconscious or conscious to our awareness - we are fragmenting our energy field. When this happens, which happens to all of us all the time, it forms an energetic attachment ('sh*t-magnet) and creates an attractor field for more of this 'rejection' to be pulled into our life. Unconscious sabotage is very common - and has to do with not fully being congruent within. In other words, there are aspects that conflict or even contradict another, and thus hinder our energy to flow/unfold into the right direction. As for your personal sabotage, you will need to work on observing inner patterns in you, so that you can begin to actively work on reframing/replacing them in your 3D life. In general inner conflicts arise when we think we want something - or we want it in a certain way, but deep down we are afraid of it or refuse it (For example: I want to be rich - but deep down I have the belief that rich people are not honest. So, if I became rich it would make me dishonest...) However, it's of course more complex than that - in many cases past experiences, trauma, and even karma can be responsible for persistent sabotage cycles. The trick is in uncovering and healing inner patterns - is to ACCEPT them and let go of resistance. As soon as you can see what triggers it and what the different stages are you can reclaim the power to break these cycles. So, on a deeper level integrating means allowing ourselves to love ourselves with ALL that we are (including and regardless of our imperfections and perceived flaws). I know, this sounds way too 'esoteric' to be practical, therefore I recommend that you feel this out a bit and try to pinpoint where your energy goes when you are beginning to feel that you are sabotaging yourself, i.e. distracting, numbing, stimulating, fighting, looping, freezing, running away, procrastinating, etc. 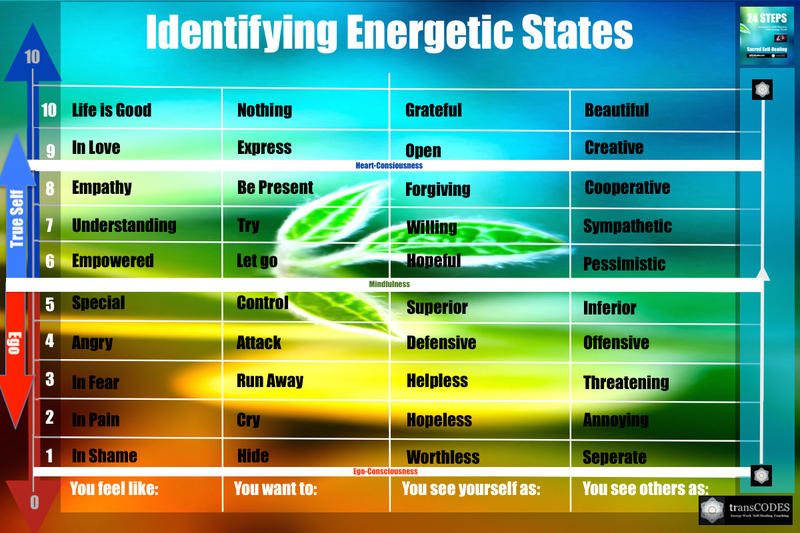 just to build a vocabulary for your unconscious coping (coping is the way your system deals with it). " Excellent, & well said. Jona can probably better suited to respond deeper, but I wanted to just say that you are on the right track in that you can't keep it hidden. It has to come out so that you can accept it. You can't change the past, but you can change the way you feel about it. That's acceptance & recognizing that basically, "I been there & done that & I accept the experience." Then you let it go. You don't stay in a constant state of thinking about it. You work with it & let it go. The next time it comes up it may still have a bite, but it will be less of a bite. You get good at processing it when it comes up. I've made some embarrassing mistakes in my life that I cringe about when it comes in. But because I took the time to accept what I did & I'm fine & I've learned etc... when they come in now, it's like I still recognize the old feelings, but they are very tame & I'm able to pass them off very easily. The process is like cringe... ah, it is what it is... accept & move on. & then it disapates & is forgotten as I continue through my day. That is a very different method from allowing it take you into a downward emotional spiral that you feel you can't escape from had you not done that processing. Allowing it to take you like that could keep you there for hours or even all day or longer. So long story short... you did well in bringing it to the surface... & so work with accepting the source of the grief & just keep at it. Don't get hung up on thinking about it all the time... just work on it, release, & carry on. Hope that makes sense. thank you so much for sharing and for giving yourself the time and space to connect within! 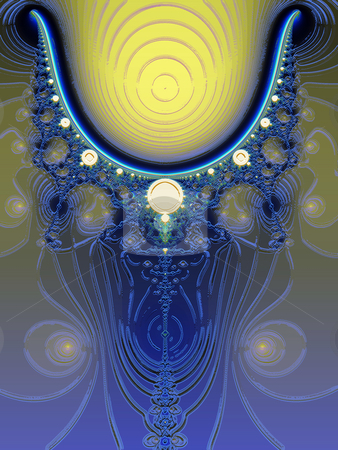 When dealing with this kind of deep inner sadness and 'loss of hope' we can't really resist it - this would cause another fragmentation of our energy field, so it's really cool that you allowed yourself to be in this space, which definitely helped to release the stored energies (mainly in 2nd Chakra). I know that you have an understanding for these things, and also how this is linked to karmic aspects...however, I want to point out that the fact that you went into the inner communication with your Future Self really made a difference! I could see your energy shifting into a stronger sense of self-worth! So, basically what I am trying to say is - keep going into this inner space! Yes, connect with your past, present and future self and try to make them become a team!!!!! Yes, the future is determined in the present - not the past - but in order to get into the present, we need to be able to fully be in the present! The main message coming through for you was to STAND YOUR GROUND - don't let the degradation of the past hold you back, Kirsten! You have more power than you think you have! But because of all the many traumas splitting your energy into fear and numbing, you cannot feel this power in you yet... yes, surrender to the Divine, but not as a mental concept - but with all your heart! There is lots of love in you!!!! Give it a voice/stance/expression! thank you so much for sharing - for coming and for connecting! Scott mentioned how feeling/feeling this light is nothing but an amplification of your own light, which is a very important experience! Even if you could only feel/see it for a brief moment, it is now a new REFERENCE FEELING for you for when you are connected within - and thus a confirmation that this light is really IN YOU! I am not surprised you felt most energetic sensations around your head...the clearing energies during this session were spiraling in your head area - showing aspects of how you see yourself - and how this blocking you to feel your inner power to MAKE A STANCE. The processes I observed in your field were similar to what I responded to Wildsage, but not in regards to your emotions but your thoughts/beliefs/False Self - some of which were linked to what you were programmed with as child -- how you have to be; who you are supposed to be; what was expected of you -- it is heavily weighing on your energy field... however, at the same time I also noticed that you must have done inner work before, as your energy instantly recognized the healing in connecting within! This is cool and a wonderful confirmation for you, that you are on the right path! From here it's just a matter of you trusting in your inner connection more, and the best way to do this is to keep connecting! Let us know if you need clarification! Thank you for trusting in this space and for reaching out! It was a pleasure having you in the session! ps. cool on your cat - she must have picked up on the space you were creating - good example for making a stance without having to be in a certain way! There was a deep healing with your inner child taking place, and I wouldn't be surprised if this is going to reflect in your dreams and visions - perhaps even in your physical feel-being for the next days! This healing happened through restructuring on a very deep/cellular level, but also brought in whole new perspective... there was a connection with your right hip and left shoulder - indicating to us that there is a conflict between where you are seeing yourself now - and where you feel you are supposed to be. This inner conflict allows for negative energies to keep pulling you down - pay attention to this inner conflict, Akin! I know what this sounds like, but if you really feel deep inside, you will notice that there is a part of you that already knows what all your recent experiences are good for - and that the solutions are already in you. So, probably the most practical tip that you can take from this session is to watch NEGATIVE THOUGHTS and to connect with this part in you that knows your future (future self) - there is a lot of love and positivity awaiting you in your future! Just because you had this recent 'correction' happening to you, doesn't mean that all is lost! Nothing is lost, on the contrary! You are closer to yourself now than I have ever seen your energy! Very promising - and lovely to watch this beginning to unfold! The entire prayer group could feel this during this session, so keep going Akin! You have a wonderful energy and a tremendous amount of power to create a life of happiness and fulfillment (I'm not just saying this...). Cool you could feel your heart! As Scott commented, this is a very important step for connecting with your inner self-healing and manifestation powers! The main thing we observed working with your energy was a tightness around your heart - that wraps around your entire ribcage. It seemed linked to rigid beliefs and too much structure. Now, as an athlete those are probably things that you have been training all your life, but perhaps you can work on integrating physical exercises that help to loosen your upper body - especially your torso (rotational sideways and upward stretches). Also breathing through your diaphragm can support the opening of your heart-field and related physical aspects. If you can, try to integrate deep breathing into your daily exercise routine -- and try to feel your belly fully expanding when you breathe in. Nothing new since the True Self session, other than more clear instructions on how to improve your inner connection and power to stand your ground. Thank you for coming, Kemi! As mentioned in the Flash Report below, our group healing session started out with a wonderful heart connection, which is amazing! Many of us had a deep healing experience, and entered into an inner healing space. Thank you for your trust that made this possible. If you want to better understand how remote energy group healing works, our monthly Remote Prayer Sessions are a wonderful opportunity to get a good feel for how energies can be used for healing. By dedicating our energy to the session and participants we can facilitate a healing space to arise spontaneously and synergistically create a healing space for everybody involved. It is the heart-felt intention and dedication that makes this possible, and so the ability to enter this space within a few minutes of this session starting is a great witness of our sincere intention! That said, our 25 Remote Prayer Group members volunteer for this session because they understand this, and especially the fact that healing is a two-way street - so, once more - thank you all for your dedication! What contributes to the healing space to align is the coded invocation mp3 that we send to you, which you can use to recreate this space at a later time in self-guidance. This one really caught all your attention! It was the byproduct of one of my monthly public Energetic Adjustment Session a while back, in which I performed a remote energy healing on a group of participants that allowed me to transcode the needed healing frequencies to activate a higher vibrational DNA attunement of our energy field. Every Energetic Adjustment session allows for a different 'medicine' to evolve. (click here for more info on Energetic Adjustment Sessions - next one is tomorrow at 10PM (MDT). It triggered the willingness to go beyond our mental and emotional beliefs that we have made ourselves identify with our suffering. And so, we were able to transcend the attachments that keep our energy in the experience of our suffering. This is significant, as no matter where our suffering originated or what 'caused' it, from an energetic point of view it is our resistance or attachment that energizes the 'pain of where we are at'. Now, does this mean we can just think our pain a way with happy thoughts? No! Absolutely not, but what it can teach us is that our subjective experience of our current situation depends on how we see it and how much we unconsciously energize our pain. Click here to read why mental techniques don't work for deep inner healing and how to break through our MENTAL AND EMOTIONAL LOOPING. Most of you seemed to have experienced an instantaneous SHIFT OF ENERGY through this detachment from the 'pain of the past' and were able to experience themselves as energetic beings, composed of light and expansive energies, that were way above our pay grade to comprehend. Yes, the light you say was your own light, and to add to this - it was your own self-healing energy that was showing you what it can do! The mechanics of healing and self-healing are really not that complicated. We experience where we allow our energy to go. 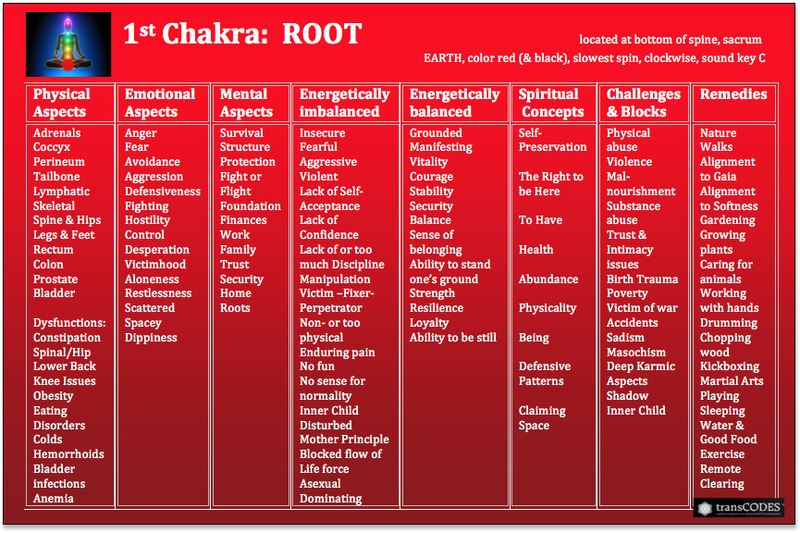 The biggest problem is that most of us are not aware of where our energy goes, and so we unconsciously energize pain, fear, anger, and other lower vibratory energies within ourselves, not realizing that these are the ones that keep us there (red zone in chart below). If we, on the other hand, become more aware of our current energetic state and learn how to HOLD AND DIRECT our energies in to the 'blue zone' consciously, we are in the process of self/healing! even just upping your frequency one level already heals you! So, if you are caught in a state of fear for example, becoming angry can help you to release your fear - if caught in shame and guilt, allowing your pain to be felt can release your energy and significantly help to move forward. Therefore, it doesn't matter where you find yourself on this vibrational scale above, it only matters that you learn how to move out of your current state and hold a higher vibrational state! Now, of course you can't get stuck in anger or pain - those are still contractive/low vibratory places - so, the resolutions and inner guidance you have access to in those states is still limited to your ego's perception and therefore potentially no advantageous for you, but if you train yourself to become more aware of where your energy goes and focus on SHIFTING YOUR ENERGY instead of energizing your current state, you are moving forward/upward, which can provide a wonderful springboard and motivation to continue working on it. So, basically what I am trying to express here, is that it doesn't matter where you want to be or think you are supposed to be, but to learn to get through lower states more consciously. This will then allow your energy to re-learn new pathways (which btw can be observed through neurological testing) and find new ways to respond to lower states more quickly! We all get caught in lower vibratory places all the time! The trick is in not resisting them and cutting them off from our experience (because they are not spiritual or whatever else our ego-mind creates as justification to distort our perception of self), but to get through this contractive place as fast as you can. And so, the main teaching in this session was primarily about EXPERIENCING OUR HIGHER VIBRATIONAL EXISTENCE FIRST HAND and then to learn how to focus our energies in our hearts to HOLD OUR ENERGY LONG ENOUGH to increase our energetic confidence, in order to get past whatever our suffering is. Many of us that strong third-eye activity during this session. You observed lights, patterns, geometries, rotations, and felt energetic pulses, vibrations, buzzes and tingles. All this was showing you how your energy sped up and entered higher vibrational frequencies. In fact, the frequency got so high that some of you may have felt nausea or motion sickness, which lead us to turn down the transMISSION just enough to not get too trancy. Since some of you were experienced energy workers, and you may have felt this towards the end - there was something like a last minute push, which helped to internalize this whole experience on an even deeper level. For most of us this session brought NEW INSIGHTS in regards to how our current situation/condition is linked to INNER CHILD and KARMIC ASPECTS. 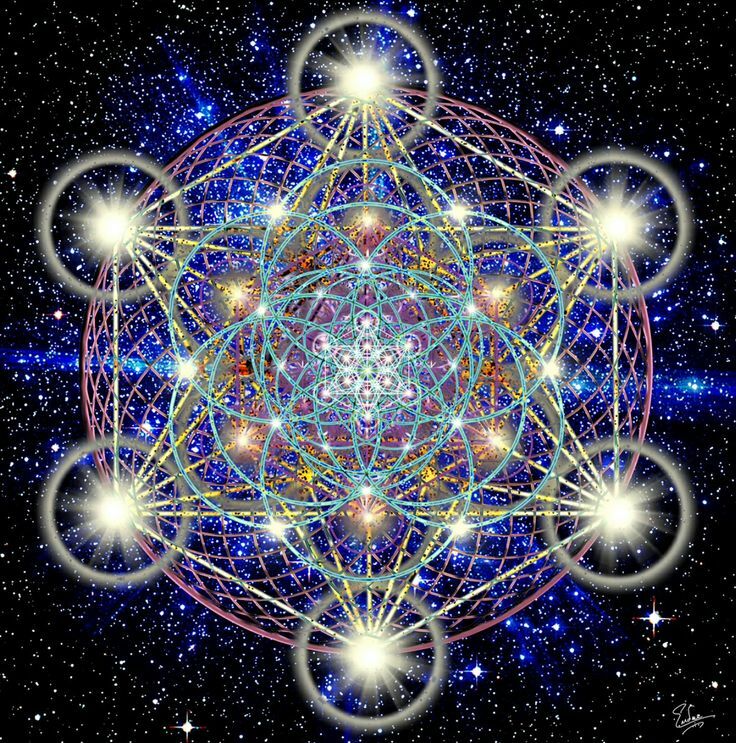 If you want to know more about the energetic aspects and how they can affect your physical, mental, emotional and spiritual health, please resort to the keyword search in the transCODES blog - there I've published many articles illuminating the energetic mechanics underneath them and how to work with them in detail. 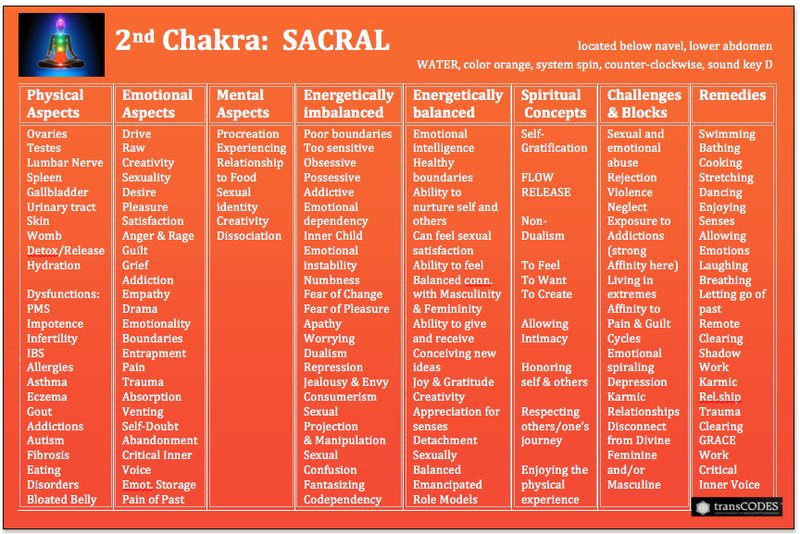 Also, I want to mention that our Sacred Self-Healing Course covers all these subjects and provides an in depth healing modality for all layers of our energetic healing process. Lastly, I want to point out the sacredness of connecting with your FUTURE SELF. Many of you had amazing experiences here - keep working on connecting with your Future Self as the one and only guide that knows what is most advantageous and healing for you! Remember, your future self has all your problems already figured out - now you just need to learn how to hold your energy in a fast/high enough vibratory state to access your INNER KNOWING and come to HIGHER VIBRATORY SOLUTIONS immediately! Please click here to read an article on how to work with your Future Self more consciously. For many this experience will most likely be very transformative - perhaps not immediately, as it requires a bit of practice, but reconfirming your inner power to heal yourself can aid you tremendously, especially in the regards to your ability to SET MORE PROPER BOUNDARIES, MAKE YOUR STANCE and MOVE INTO A FUTURE THAT REPRESENTS YOUR TRUE NEEDS AND HEART'S DESIRES! At the beginning of the session I found my mind wandering such as the groceries I need to buy, situations from my past etc, everything was taking my mind all over the place except where I wanted it to be. After afew minutes of struggling with my mind I let it have it's way for a while and just became an observer. I then decided enough observing and dragged my mind to focus on my heart instead of wandering. Within a short time of doing this I began to feel pressure in my chest/heart and it felt as if a hand was holdings/stroking it, the sensation was not painful, just felt strange. I then saw purple/violet lights dancing in patterns like a kaleidoscope. This was the last thing I remember as I drifted off to sleep about halfway through the session. Yes, we could feel the looping too - your thoughts/thinkingness looked like a crate you were pushing forward infant of you. Cool you allowed yourself to observe, and just let it run out of juice! That's when we begin to become able to just not feed it anymore! Very coo! The pressure in your hear area is linked to what we call - heart-expansion pain - it can happen when we actually begin to connect, as the energy in our heart field starts to expand - nothing to worry about - you already know this one...it shows you that there are still layers around your heart (which we all have) but that you are actually connecting, so you could see it as your inner signal for connecting. 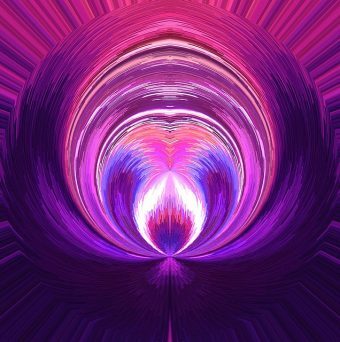 The purple patterns, which we too observed is a new development for you - it shows you that you are beginning to connect more with your inner vision, which can be the beginning of a whole new way of perceiving energies. Again, remember that everyone 'sees' things a little differently, so don't try to compare the way your perception with that of others. 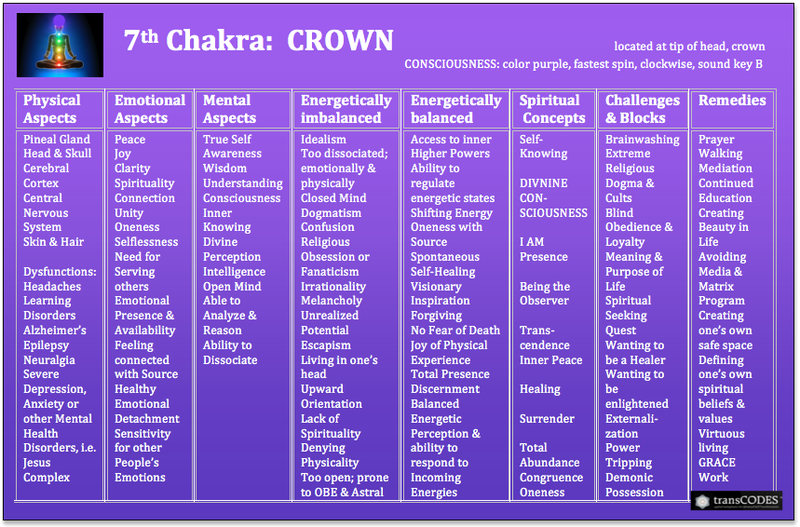 As for the deeper energetic processes witnessed in your energy field the session, there was a pretty tight energetic knot in your 2nd Chakra - which seemed related to the thinkingness. It's almost as if the thinking serves the purpose to distract you from feeling...so, while you are thinking (in this uncontrolled way as you described/ I'm not referring to your intellect) your emotions get drowned (and stored in your lower abdominal and back! area). So, while this is a very common emotional coping mechanism for all of us, it is really beginning to become a burden now. All these unprocessed emotions need to go somewhere - and this is why you are feeling pain on the backside of your 2nd chakra (lower back). The way you handled your thinkingness as you described is a very cool way of letting it dissipate. There is nothing you can do against it, as it's part of our collective mind field, but you can learn to control it a bit better by stopping to feed it and bit by bit allowing the layers underneath (emotions) to come forward. Maybe it would help you to write things down - journaling helped me tremendously! Even if you just write down your to do's every day - it can help to let go of the repetitive nature. Once it's down on paper it can leave your mind...try this perhaps. As for the lower back pain - besides gradual emotional integration - it may be useful to do more exercise...in fact it could be helpful to join a martial arts or kickboxing class, and learn how to use your physical to express and release emotions. Curious if this resonates with you. Thank u for your observations. How u described the thinkingness and how the un processessed emotions get stored in my lower back area makes sense. I have suffered with lower back pain for many years and through coming to tnese remote prayer sessions I felt a lot of improvements, then gradually I begin to feel a little more pain here and there and couldn't explain why, now I have my answer. I actually did used to journal a lot a few years ago which helped not only myself but people around me who read what I wrote as my brain is like a sieve LOL, I go through several emotions in the space of a minute and can forget the angry thought that started the chain reaction, by writing things down helps to remind me of forgotten or buried emotions or feelings that pop up and disappear just as quickly.